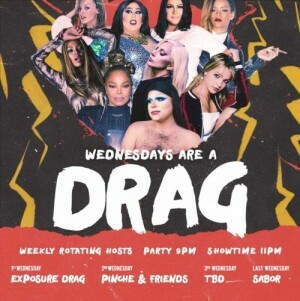 Rotating Drag shows every Wednesday! Come to Rockwell Table and Stage's brand new show for Saturday Brunch! Ross Mathews Dragtastic Bubbly Brunch is about to blow up the Rockwell stage with its amazing lineup of some of your favorite Drag Queens!